DigitalOcean - a cloud hosting service its founders say was built for developers in mind. 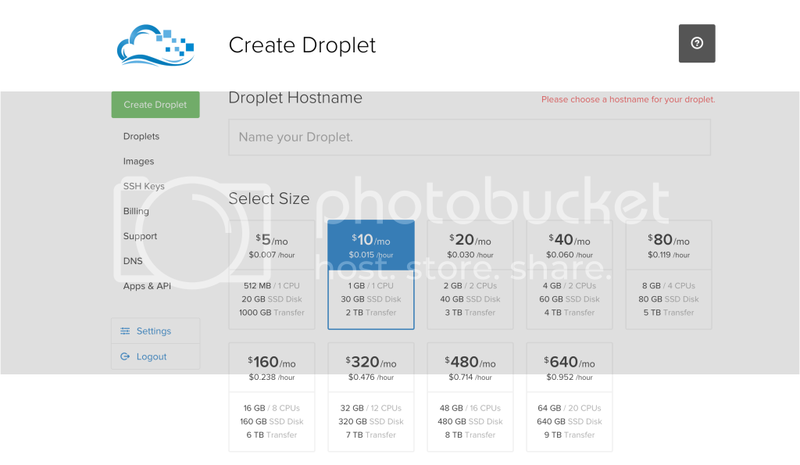 DigitalOcean is a SSD-powered cloud hosting platform. It is an incredibly user friendly service that takes Developer Experience to a whole new level when building and deploying web servers. The young hosting service prides itself on its simplicity, claiming users can create SSD servers, or 'droplets', in 55 seconds as well as its pricing, which starts at $5 a month. While behind market leader Amazon Web Services, its rise has been meteoric since it launched in 2011, with Netcraft now considering DigitalOcean the third-largest web-hosting company in the world, powering over 286,000 active sites. Headquartered in New York, it has nine data centres located in the New York area, San Francisco, Amsterdam, Singapore and London. 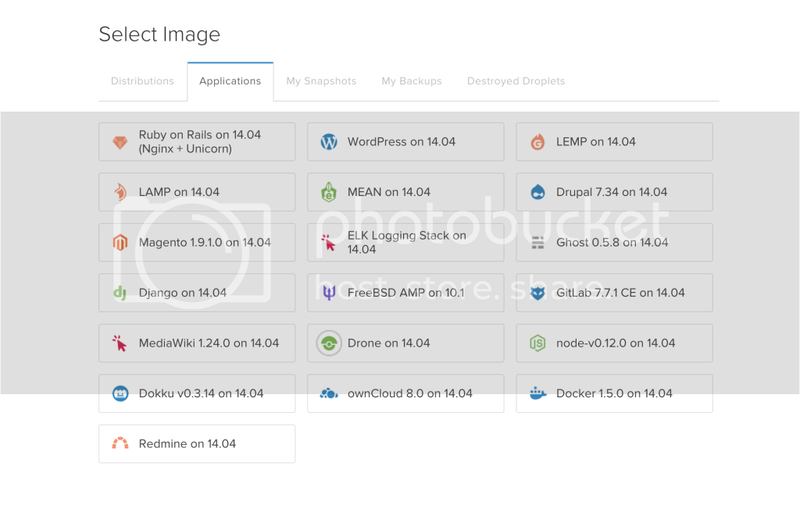 At Workshape, we use DigitalOcean for hosting our web servers for our live and staging environments. We also use the service to manage our DNS records. Its blog resources are a regular pit stop for knowledge about maintaining development and production environments on and off DigitalOcean. We began by using the service with two basic servers which cost $5 a month to power our prototype site. Then one Tuesday morning after sharing our prototype on ‘Hacker News: Show HN’ we quickly realised we needed a more powerful server to power our production site due to slow response times being experienced. This is where the power and awesomeness of DigitalOcean really kicked in. I logged into the dashboard clicked ‘Create Droplet’ and chose a similar but much more powerful setup ($20 a month). In less than two minutes, I had a new server. Wow. I updated my deploy script, then pushed our app to the new box and finally switched the DNS settings to point over to the new box - boom - smooth transition to better response times as % memory usage drops to more reasonable levels. I cannot really understand the true value of this due to it mitigating an early stage problem but I was so impressed at the simplicity DigitalOcean provided in a moment of high urgency for us. Since then, we have moved to using three servers - one staging environment and two servers for our production site. Our costs total $35 a month for these 3 servers. One $5, one $10 and one $20. UI / Ease of use: 10/10 The User Interface is a thing of beauty - if DigitalOcean were a phone it would be an iPhone - something a three-year old could use, their blog posts on almost any common task you need to perform are excellent. This understanding of its users and their need is the main reason we chose to go with them. I cannot claim to be an expert Sys Admin, but with these resources at my disposal I sometimes convince myself! Cost: 8/10. Very competitive compared to Heroku and AWS but rival Vultr offers a cheaper service. For $5 a month, Vultr offers 768MB RAM, 15GB SSD, 1 CPU and 1TB transfer versus DigitalOcean’s 512MB RAM, 20GB SSD, 1 CPU and 1TB transfer for the same price. Vultr also has more location options. Reliability: 9/10. We did have one minor outage but we were well informed. Scalability: 10/10. You can bring up a new cloud server in under a minute. Interoperability: 7/10. It’s Linux distros only but absolutely fine for our use case. We love DigitalOcean. It's a superb service that has put the developer experience first. It saved us in emergency because it was so quick to deploy and we've stuck with it since. If you're an up and coming Startup with unpredictable traffic spikes, I'd highly recommend the service. Hope you like this review. We're going to publish a series of blogs and introduce our tech stack to you over the next few weeks to highlight some of the great services that are helping us make Workshape.io great.